Welcome to The Kitty Kuddly! The Kitty Kuddly is an amazingly soft pet travel carrier and bed that all small pets including cats, small dogs and small animals will adore. It's more than just a pet bed and a travel carrier. The Kuddly helps with soothing and comforting, perfect for the vet office and at home. Will help your pet feel cozy and secure. 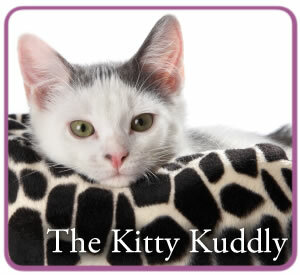 The Kitty Kuddly is a beautiful "snuggle bag" made of 100% Glacier Fleece, giving your cat or kitten a comfortable place to rest, hide, or play, with a magical calming effect. 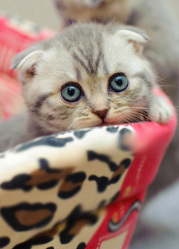 Unique shape allows you to gently gather up your kitty, protecting you from claws, allowing for easier travel to and from the vet or grooming office. 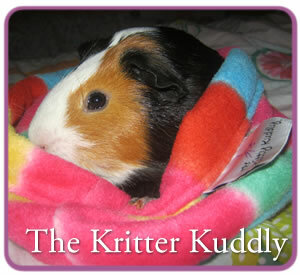 The Kritter Kuddly is an amazing pet travel product for your guinea pigs, birds, ferrets or any small animal. Great for vet visits, any other traveling, or just hanging around the house. Protects you from claw scratches or angry beaks and helps keep pet's area clean of droppings. Just dump the droppings, wash and go! 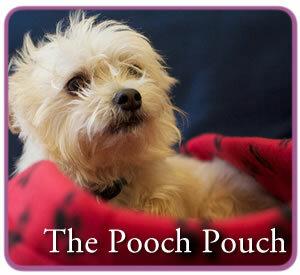 The Pooch Pouch is the unique twist on the Kitty Kuddly showing the soft pet carrier and pet bed has multiple uses. It's a bed, a bag, or even a liner for a small dog carrier. Great for using after a bath, or for small puppies to cuddle with. Put one in every room and your dog will always have a place to hang out. Look for the "doggie-friendly" patterns.